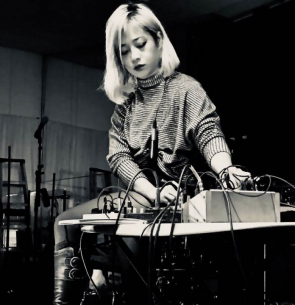 Born in San Francisco and working out of New England, Victoria Shen is a visual artist and musician whose live performances often incorporate video in addition to sound. Shen’s sound practice features analog modular synthesizers (Flower Electronics), contact microphones, and other hand-built electronics. Her instruments were designed to electronically reproduce chaotic systems, systems which are highly sensitive to small changes in their initial parameters. The resulting music is comprised of complex aperiodic sounds that eschew conventions in harmony and rhythm in favor of extreme textures and gestural tones. Shen’s work is concerned with the spatiality/physicality of sound as a medium and explores the relationship between the human body with sound. Her approach to music is sculptural and attempts dialog with the site of each performance. Shen’s live video performances uses software she has authored in order to generate visuals combining real-time video with found footage. Shen’s found footage is thematically linked by art history, sexuality, and violence which through her process of exaggeration/effacement, produces visual palimpsests and digital residues. Shen has performed solo across North America, Western Europe, and Japan as Victoria Shen or under the pseudonym Evicshen and with the duo TRIM in North America and the UK.